Roll out the pizza dough and place on a pizza pan or large baking sheet. Spread the barbecue sauce all over crust. Toss chicken with 2 oz. barbecue sauce. 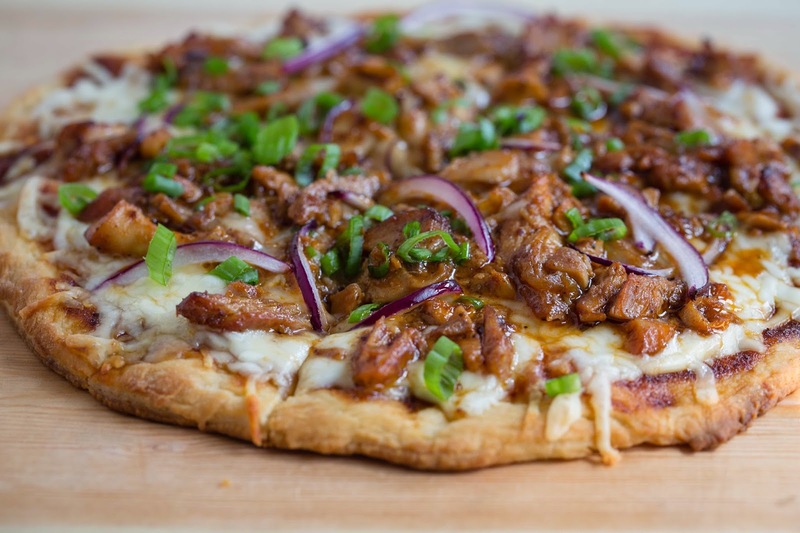 Top with chicken, cheese, and red onion. Bake 8 to 10 minutes, or until the cheese melts and the crust is golden. Garnish with sliced green onions.